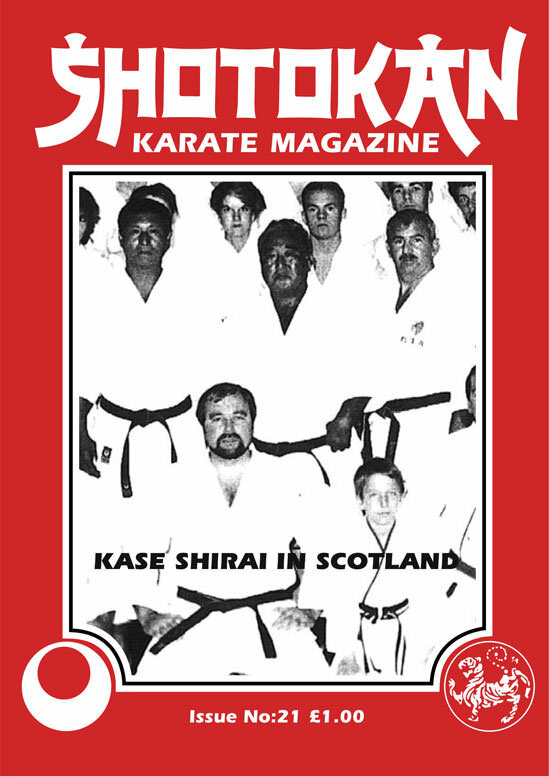 ANDY MURDOCH (Interview) Shotokan in Scotland. Has Shotokan 'Softened' By John Cheetham. Blood Sweat & Smiles. 'The Japan Experience' By S. Tansley. TERUYUKI OKAZAKI 8th Dan J.K.A. Shotokan in Philadelphia. Shotokan Video (Kanazawa) & Book (Clive LAYTON) 'Reviews. Competitions - Courses ...Kase-Shirai in Scotland. Seishinkai News - S.K.I. Course. S.K.G.B. Nationals - S.K.F. News - Reports. Well, I can honestly say that the last issue certainly got a lot of Shotokan people asking questions and 'technical' questions at that. Judging by the amount of letters I received regarding the J.K.A. versions of the Shotokan Kata, as opposed to British versions. I can only assume that the majority of the S.K.M. readership is very 'Pro' J.K.A. which has got to be a good sign as this is the 'Home' of Shotokan karate. I will be doing an article which looks at the differences that have crept in over the years and more interestingly How and Why they crept in. There are people around who actually know these reasons because they were 'in on the act' as it were. One such person is Sensei Frank Cope 6th Dan, the Chief Instructor of the British Martial Arts Association. Frank along with Andy Sherry of the K.U.G.B. was one of the first Shotokan students in this country and one of the first Black-belts, so he knows what was taught at the beginning and how things got changed and why. His views and opinions and vast knowledge are amazing. I talk to Frank regularly, I'll probably feature him in a forthcoming issue. With all these changes going on especially in the five Heian Kata it is a technically interesting point to note that Master Hirokazu Kanazawa and Asano Sensei of S.K.I. still teach these Kata the old way as they were taught at the J.K.A. as does Sensei Sadashigi Kato (Kodokai). It has to be stated that it was the British who started adding the 'flashy' stuff to the Kata probably with 'competition' in mind and now it's back to the drawing board. 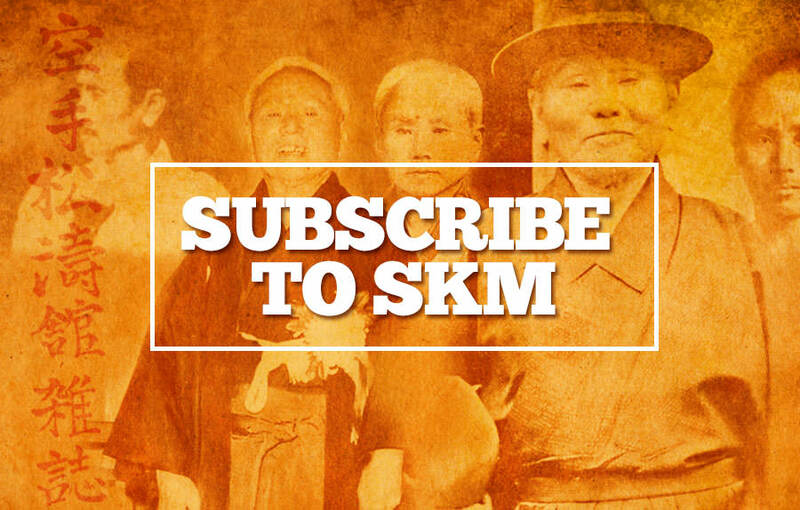 I always try and feature a top Japanese Sensei in S.K.M. and you can't get more senior than Master Teruyuki Okazaki based in the U.S.A. since 1961 and a founder member of the J.K.A. We seem only to hear about the rubbish-karate in America but there is some very traditional karate still taught and appreciated in the States as you will see by this article. Okazaki and Nishiyama were to America what Kanazawa and Enoeda have been to the U.K. Pioneers in the history and development of Shotokan karate-do.